Here is a map demonstrates territory of Russia. detailed map of Vrangel' и OziExplorer calibration for gps. topographic map of Vladimiro-Aleksandrovskoye with gps calibration download for free. actual map of Yekaterinovka и OziExplorer calibration download for free. interesting map of Zolotaya Dolina и OziExplorer calibration this. detailed map of Yugozgou 1 cm to 1 km free download. detailed map of Sambovaya calibrated for you. detailed map of Ryurik with gps calibration displayed. detailed map of Koz'mino calibrated presented. 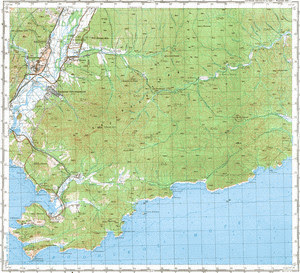 interesting map of Khmylovka download for free. actual map of Golubovka this. actual map of Bukhta Uspeniya 1 cm to 1 km presented. actual map of Bol'shoy Tazgou free download. topographic map of Beregovaya и OziExplorer calibration here. map of Boyets Kuznetsov displayed.